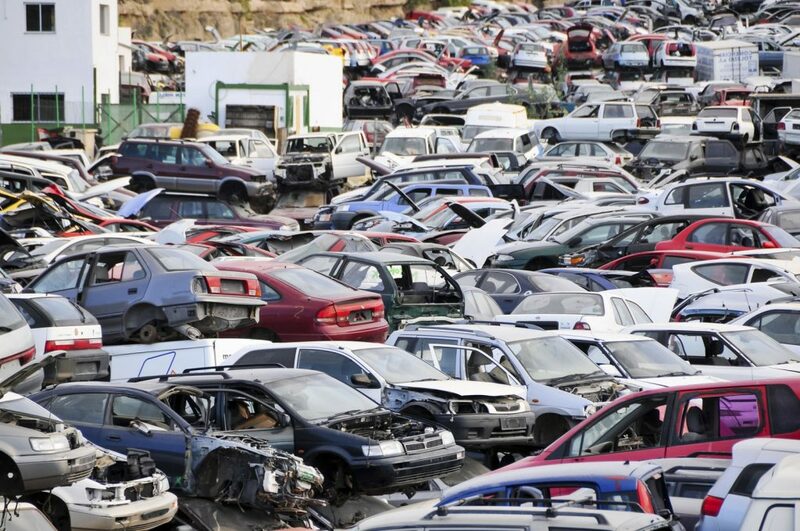 Just because a car’s a bit older doesn’t mean it has to be scrapped. Read our tips on how to buy an older model. Buying bangers isn’t for everybody but it might just make sense. You might need a cheap car quickly. Or perhaps you’re fed up with pouring money into new cars that seem to lose their value quicker than you can make the monthly payments. As cars reach the end of their life, the rate at which their value declines slows to a trickle. And that can mean cheaper motoring. What’s more, cars are more reliable than ever and new car sales are booming. The result is an ever-increasing stock of older second, third or fourth-hand cars with plenty of life left in them. And they’ll sell for hundreds rather than thousands pounds. Choose the buying bangers route and you could have many thousands of happy (and cheap) miles. But there are traps for the unwary to fall into. Buying bangers requires a different mind-set to regular car buying. This is the world of the disposable car. It’s a world where you need to question every bill. If you’ve spent £600 on a car and you have to fork out £400 to keep it alive you may as well cut your losses, throw it away and start again. MOT is king with older cars. If you’ve only spent £600 on a car and to get it through your first annual MOT it needs £400 of work, that’s a dilemma. After all, you could nearly buy a replacement for that. Buy a car with as long an MOT as possible. That way you know you’ll get the best part of a year’s motoring and if it fails the MOT you dispose of the car knowing it’s cost you less than a newer car would lose in depreciation. In an ideal world you want to spend between £500 and £1000. Any more and you’ll have a financial attachment to it; any less and you’re more likely to buy a dog. You want a car that’s got plenty of life left in it. The apocryphal ‘one little old lady owner’ car with a couple of thousand miles under its wheels is one way to go. You’re most likely to find these cars in the classifieds of local newspapers. Alternatively, you want an ex fleet car. Motors like the Vauxhall Insignia, Ford Mondeo and Toyota Avensis are designed for big mileages. Buy a car that’s spent the first three years of its life cruising up and down motorways with minimal strain being put on its main components and you could be onto a winner. Chances are the car will have been well looked after for at least the first three years of its life too. A small hatchback that’s been a family second car, has always done short journeys that barely warm its engine up properly, and been generally unloved is probably worth avoiding. There’s a degree of luck involved with buying a banger. But you can minimise future expense. Check the fluids. This will give you a clue as to how well the car has been looked after. And find old MOT slips or look up the car’s MOT history on the DVSA website. This will enable you to see advisories on work that might need doing in the near future and give you a clue as to what work has already been done. If the car hasn’t got much MOT left, ask yourself why the seller isn’t putting it through themselves. If the car looks OK and ticks plenty of your boxes, you could ask the seller if you can pay to MOT it. Then if it fails you’ll only lose £54.85. Brian Moreton from London has been buying bangers for the past decade. He reckons only owning 10 to 12-year old cars has saved him thousands. “Avoid cars that look too good to be true,” he advised. “I bought a Mondeo on eBay for £450 once because it had an amazing write-up. The head gasket went almost immediately. I just had to scrap it. Accept you’ll lose as well as win with buying bangers: motoring is a costly business. But generally what you lose on the roundabouts you’ll make back on the swings, as the saying goes. referring to jalopies and bangers does not endear youselves to classic car owners like me. Decent advice about older cars but ignores no depreciation to speak of, less complicated so better chance of fixing it with a little knowledge. Spares availability through breakers rather than main dealers will save as well. A new car is a totally untried entity, the driver is the guinea pig and upgrades are not for you. Any problem is denied until a tv programme makes an issue of it. Beware. Buy cheap and you buy twice.